Imagine yourself on your way to class. You walk by one of your students laying in a sunny patch of hallway, reading The Hate U Give. You walk by another with earbuds in, and notice he's listening to The Knife of Never Letting Go on audio. As you enter your classroom, you see two students over by your bookshelf, arguing about whether Stephen King or Orson Scott Card is more fun to read. You think happily of a letter you just got from a parent yesterday, telling you you're the first teacher to get her son to read a book in five years. Does it have to be a fantasy? Sometimes it's tough to fight the barrage of "I hate reading" you hear from students who have been repeating it for a decade. You want to change their minds, but you don't know how. Your administrators sure aren't telling you. You might have read 180 Days, or put No More Fake Reading on your Amazon wish list. 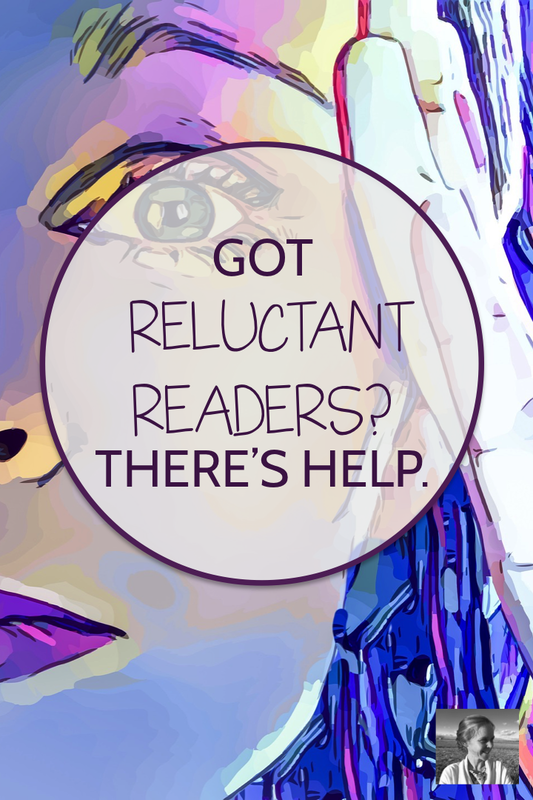 But... is it really possible to help readers this reluctant fall in love with reading? Like, as reluctant as your last period seniors? Trust me. While you may not reach every reader, it IS possible to draw your kiddos to books like tweens to a Taylor Swift concert. Grab a glass of wine (unless of course you're at work) and stay with me. When I taught in Bulgaria, I had one particular student who struggled with reading. He and his best friend sat in the back, and she struggled even harder than he did. I liked him, tried to smile in his direction and ignore the way he put his combat boots up on his desk. Then I introduced my choice reading program, and slipped Ender's Game into his hands. Suddenly he started coming to class early to ask, "are we reading today?" He always had his book with him. After a week, he suggested that "Ender" would be a good nickname for me to call him. I think of him often when I talk about independent reading. I bet you've got a student (or twenty) like him in your mind right now. Kids whose lives would be changed by a reading program that really worked. That's where I come in. Let me walk you through five steps that will help you build a successful reading program in your classroom. I've built a new (free and fast) e-mail course just for you. You won't have to worry about all the details. Get the adults around you on board, so they don't think you're wasting instructional time. Afford, develop, and organize your classroom library. Help reluctant readers find the right books for them. Stop having to worry about fake reading. Assess your students without killing their growing love of reading. I know you're soooooo busy. You've got a stack of papers in your drawer, one in your bag, and one with coffee spilled on it on your desk. You've got meetings, e-mails, and overexcited parents to attend to.You've got family at home waiting for you to light up their lives. So rather than try to teach you ten years worth of knowledge in one epic blog post, I've boiled it down into five ready-for-action email lessons. Think of it as a challenge. 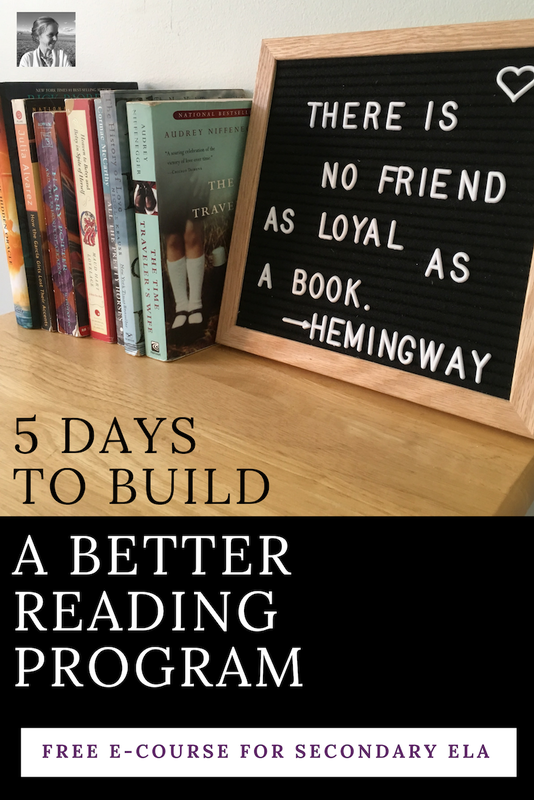 For five days, you'll get an e-mail from me telling you just what you need to know to tackle one of the big questions of independent reading. 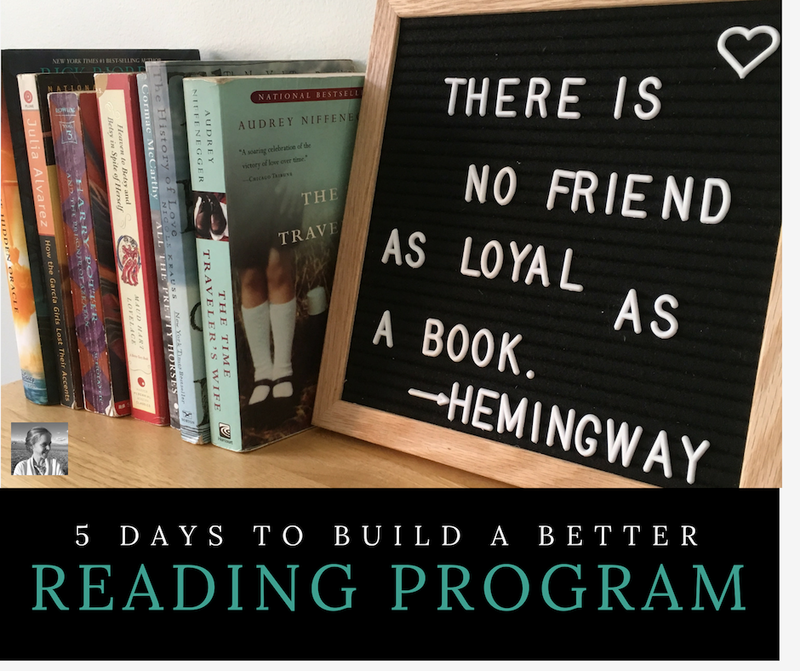 You just need ten minutes a day for one week, and you can start a reading program. It won't keep you from getting home in time to throw something into your Instant Pot and play Uno with your kids. Get ready to see your students fighting over The Shining. Lining up for Ready Player One. Staying up till midnight glued to The Outsiders. 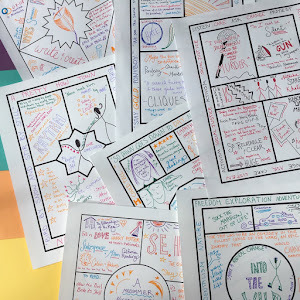 Creating a successful reading program can be one of the most rewarding, fabulous, and fun parts of your teaching career. This (FREE) course is going to make it sooooo much easier. I really want to help you do it. Ready for action? Sign up below. And send your teacher BFFs this link so you've got a partner in awesomeness. Can't wait to say hello in your inbox.